Taking its name from a gold coated thoroughbred is the first sign that Treetop Flyers are back and firing on all cylinders with the release of their sophomore album PALOMINO. This London-based band created significant waves with their debut release in 2013 and a hungry fan base is more than ready for another serving of classy guitar driven indie music heavily inspire by that classic West Coast sound and forever drifting into the realms of Americana rock. The good news is that the new record picks up where THE MOUNTAIN MOVES signed off albeit with personnel changes and much digesting of where to head next. Lead singer Reid Morrison is in fine form from start to finish lending his misty soulful vocals to a bundle of tracks undulating in terms of motion and pace, but consistent in finesse and exciting appeal. 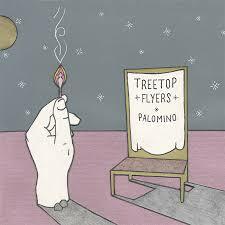 Treetop Flyers do not sway away from the six minute long song and all thirteen tracks in total on PALOMINO almost push the hour mark in duration. However the listen does not drag, helped considerably by the scheduling of two of the stand out tracks at either end and freshening up the core of the record with significant gear changes. The album is vocally balanced whether Reid is pouring his heart and soul into a ballad or one where the sound is ramped up into rock proportions. In fact Treetop Flyers are developing into a diverse band equipped to be successful in whatever arena they perform in and leading a UK blueprint to match US bands such as Dawes which practice a similar style. The link between these two bands is UK indie label Loose Music who have now issued both albums from Treetops Flyers and once upon a time had Dawes on their roster. Prior to Loose releasing this album, the band recorded it in their Soup Studios and some of the tracks started to emerge last year when they hit the road in the autumn for a few low key dates. 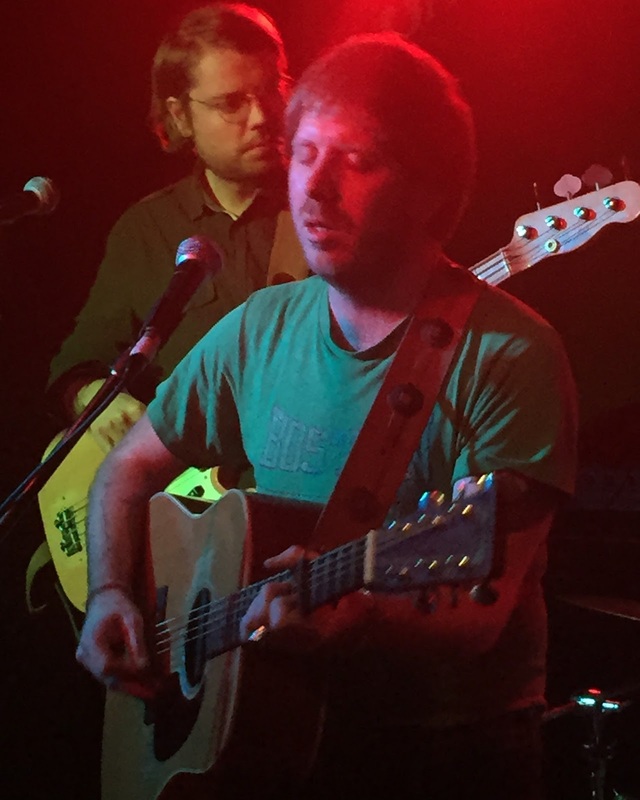 One of those was witnessed at the Sunflower Lounge in Birmingham and the band is due to return to the city in April as part of a higher profile tour to support this album. Two tracks recalled from that show last year emerge as beacons on the new album. ‘Dance Through The Night’ also had video coverage as details of the new material started to hit the airwaves and sees the band almost cross over into dance territory with a tune designed to get many a cool guy’s feet shuffling. Its shimmering organ parts create a sixties psychedelic haze to snare the listener’s attention. ‘St. 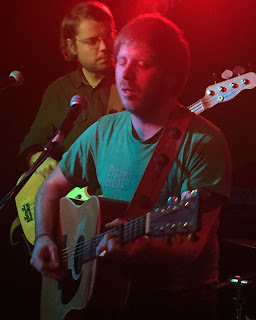 Andrew’s Cross’ is at the other end of the sonic scale and sees Reid pay tribute to his late father in an acoustic ballad giving the swirling electric guitars a breather. The two stellar tracks which bookend the album start with the driving guitar feast ‘You, Darling You’ blessed with harmony vocals and an infectious chorus conveying the sentiments of the song. ‘Wild Winds’ is the song to close the album and once again is chorus friendly which is in fact introduced in the track’s opening bars before this foot stomping groovy piece roles out. Although the four tracks mentioned so far are great songs, they are just eclipsed by two other tunes fighting it out for PALOMINO’s golden moment (excuse the pun). ’31 Years’ is another song written to reflect on a passing and this rousing anthem has just had its own video delivered into the digital world to support the album in the run up to its release. Many delightful listens to this record just give the exhilarating ‘Sleepless Nights’ the summit position on the back of its stunning guitar riffs and glorious appeal. The other five tracks each play their part in making PALOMINO an album to enjoy and recommend.‘Lady Luck’ is one of several six minute mini epics, while ‘It’s a Shame’ see the band slip into a soulful mode. ‘Falling Back’ is one of the undulating tracks where the guitars once again pick up after the album’s tender moment. ‘Never Been As Hard’ plays the opposite role and slows things down after a rocker and the line-up is completed by the sensibilities portrayed in ‘Fairytales and Lullabies’. In all its glory, PALOMINO is a dreamy rock tinged record with its alt edges and soulful centre. It mixes venom with style and announces the return of Treetop Flyers as a cutting edge band resonating well in Americana, rock, indie and alternative circles. The next step is to catch the band live in April and re-live the album in its stage format.